Shocks and struts are one system that many drivers can tell when it breaks down. You can start to fell vibrations while driving, and bumps make a larger impact. Not only are these annoying for the passengers, but it wreaks havoc on your vehicle. Many parts are designed with a working shock and strut system in mind, so all those bumps cause more wear and tear which can quickly lead to costly damage. Thankfully, the ASE Certified professionals here at University Chevron can help. 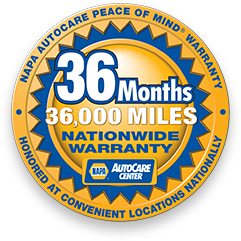 With over 38 years of experience, our auto service is second to none. Keep your vehicle safe and enjoy your daily commute when you call us, stop by, or schedule an appointment online today.